Tickets: £18 including a chilli supper!! 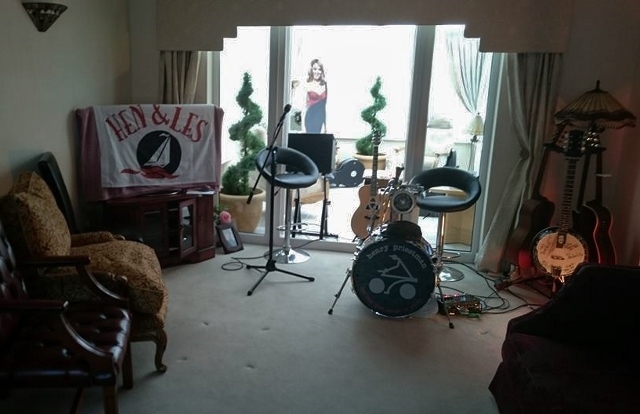 *Private function; sorry, tho’ some housegigs are open to the public, this particular one is not. The tickets are £10 each and are available from Rachael Barker at the office at Burbage Junior School – telephone 01455 630970. Note from venue: “The venue comprises both seated and standing space. There are a limited number of seats. These are allocated on a first come first served basis, so if you’d like a seat, please ensure you arrive early. We reserve the right to release all unclaimed tickets for re-sale at 9.15pm. If you will be arriving after this time, please inform us in advance, so that we can hold your tickets for you. Also on the bill, the wonderful Flossie Malavialle. Tickets can be obtained also from www.yorkshireticketshop.co and at Whistlestop Wines (nearer the time), Saltburn. 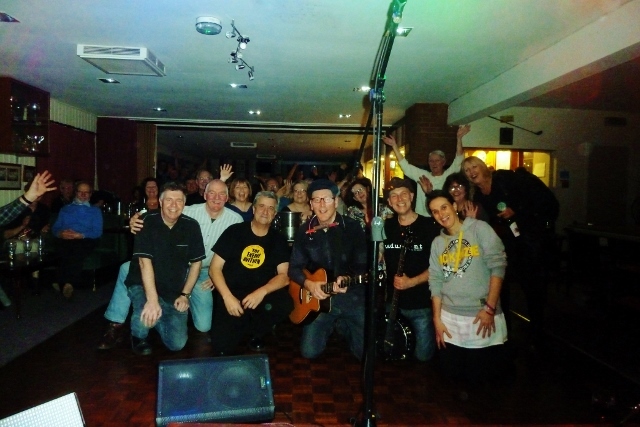 Saltburn, 15/11/14…with The Men of a Certain Age, & Flossiie Mallavialle , l-r Martin, Pete, HP, Les, Flossie. 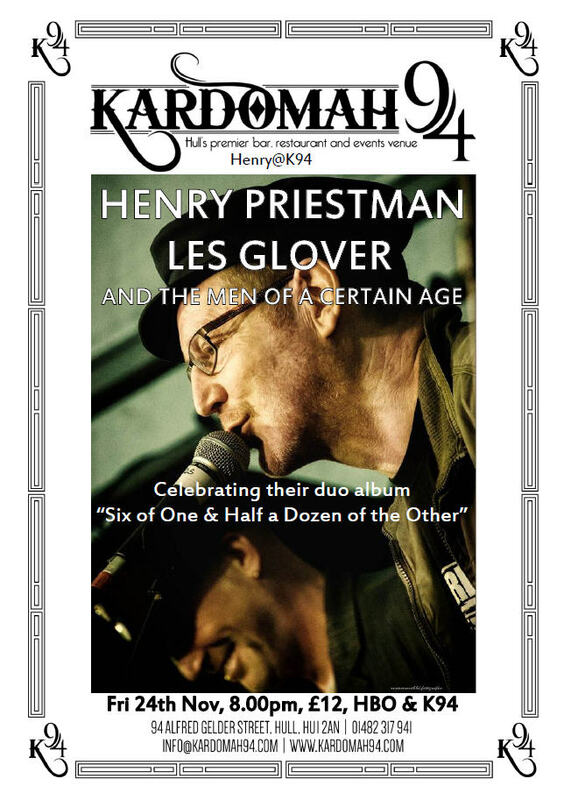 Local boy done good!..Henry returns to K94 with les Glover, to launch their new duo album “6 of One and Half a Dozen of the Other”! 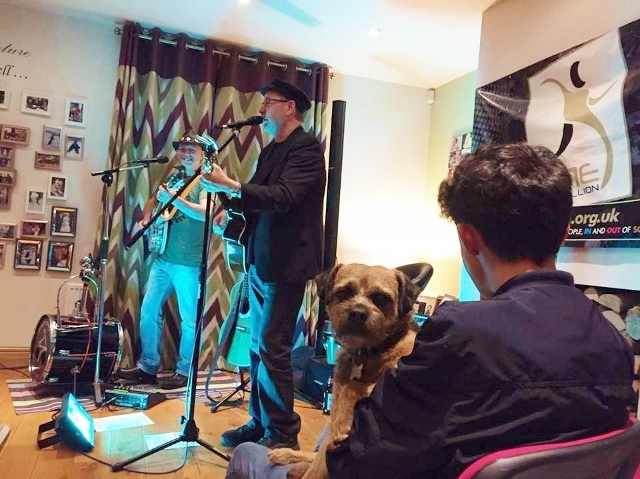 Local boy done good!..Les Glover returns to Lucem House with Henry Priestman, to launch their new duo album “6 of One and Half a Dozen of the Other”! 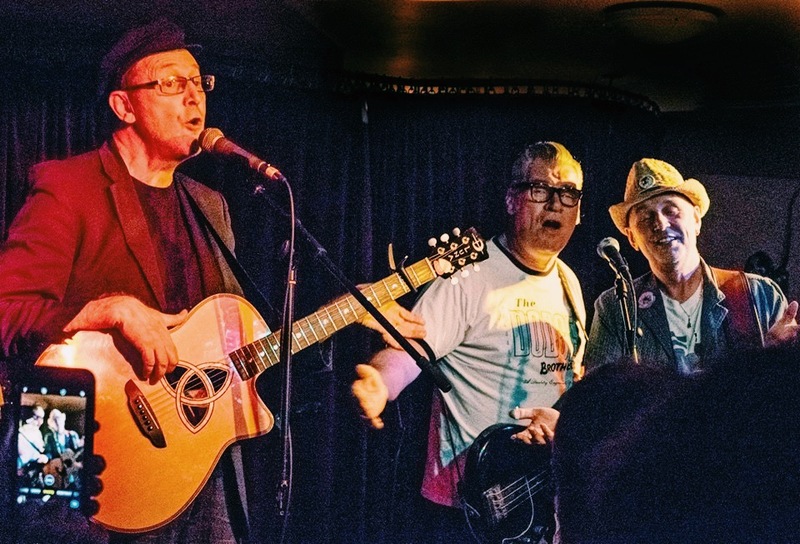 Local boys done good!..Henry Priestman & Les Glover discover a brilliant new venue in which to launch their new duo album “6 of One and Half a Dozen of the Other”! 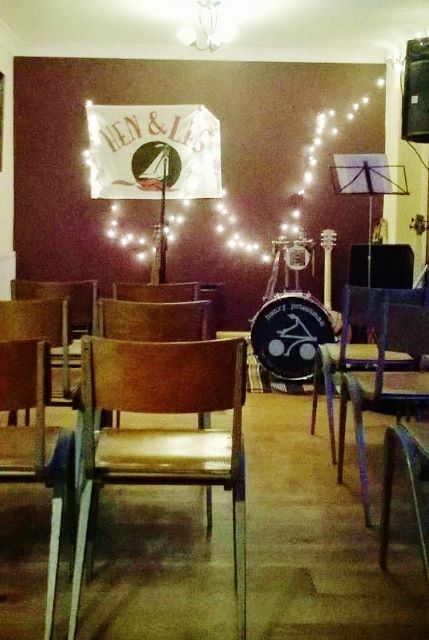 Henry’s 9th annual visit to his favourite Folk Club… The last EIGHT have all sold out, so book early! Doors 6.30 for 8pm start. 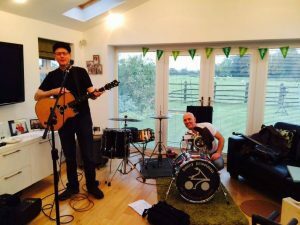 Henry Priestman with Les Glover…..support band Kobold. 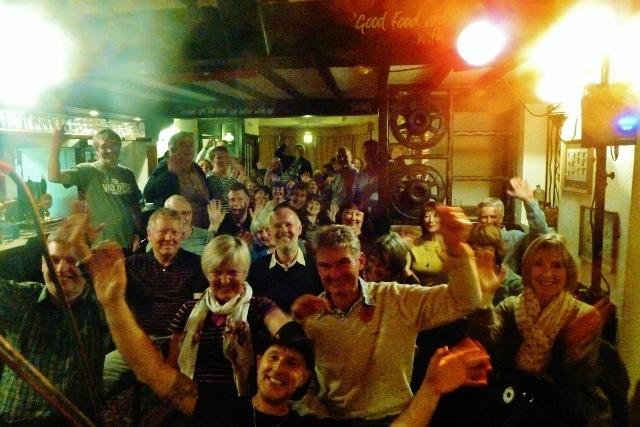 Currently touring around the UK, Henry brings his engaging songs of mid-life angst to the historic coaching town of Stony Stratford. 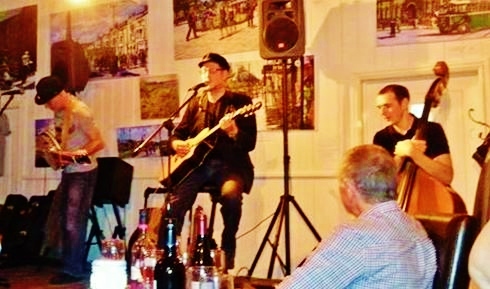 Accompanied by fellow song-smith Les Glover you are guaranteed an evening of aural pleasure. 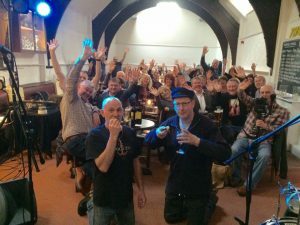 After the wonderful Nov ’17 launch gig for Henry Priestman & Les Glover’s new album “Six of One and Half a Dozen of the Other” in at 81 Renshaw, the pair return with a host of friends for another launch…this time to celebrate the launch of the new 3CD Yachts Boxset, and they’ll will be peppering the set with at least half a dozen songs from those old Yachts albums. “Food is available before the show. Please call 01698 733311 to reserve your table for food. Entry is free, with donations gratefully received at the end of the concert! 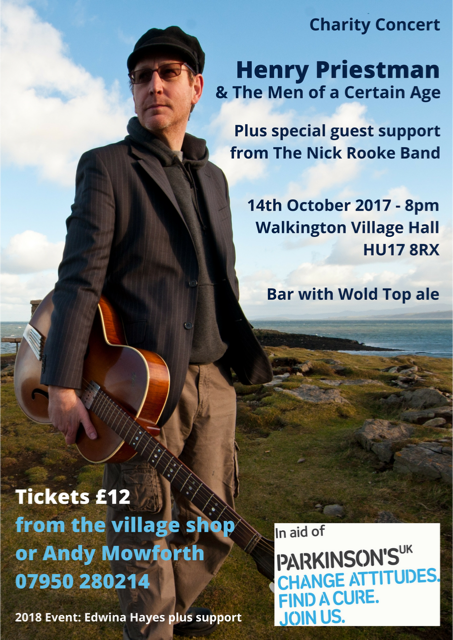 Hebden Bridge Folk Roots weekend. Situated behind the White Hart. 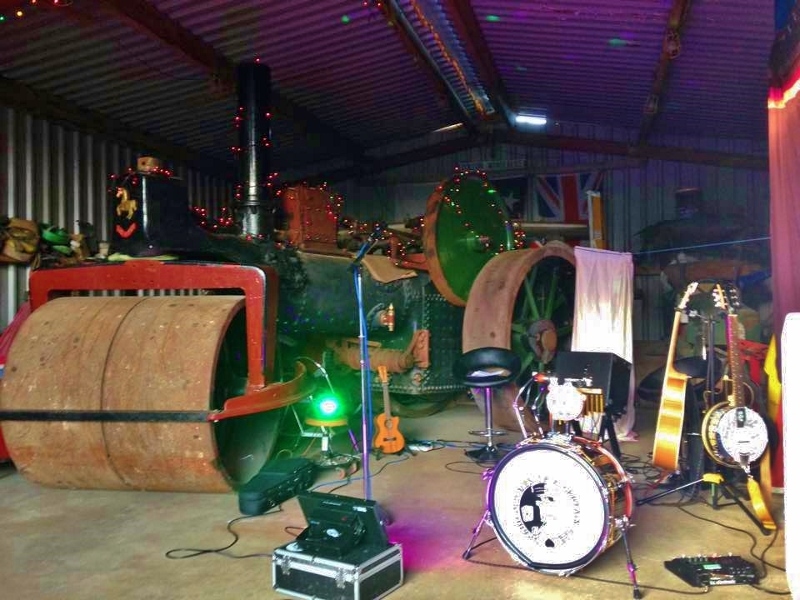 “Back again for his yearly visit our friendly travelling troubadour and his trusty sidekick Les Glover are back again and yet again we’ve given them another interesting venue to play in”. Namely, Stealth Brewery..a gig in a brewery, what’s there not to like?!! Henry returns for the(we think) 4th time…always a joy! For tickets email lsafolkclub@hotmail.com or call 07935 924250. The Pavilion, Ashton Gardens, St George’s Road, St Annes, FY8 2AE. 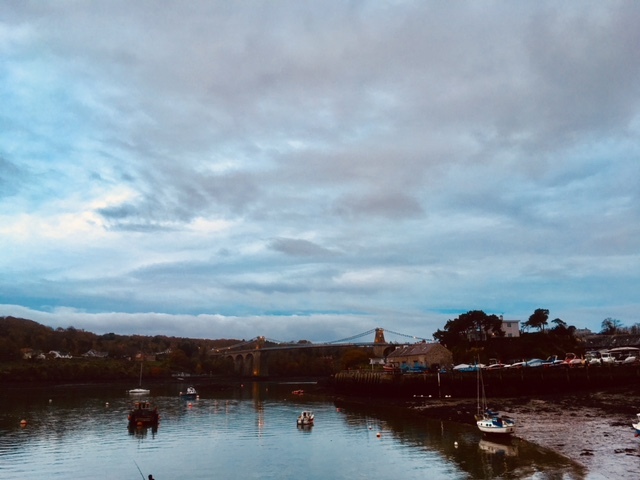 Don’t miss out on this one-off opportunity to catch Henry in conversation with writer/broadcaster Paul Skillen, and singing the odd song from his eclectic back catalogue. Henry will be appearing with Les Glover on the Sunday. 10 years to the day since Henry released his debut solo album The Chronicles of Modern Life…we’ve decided to play the whole album in reverse order! 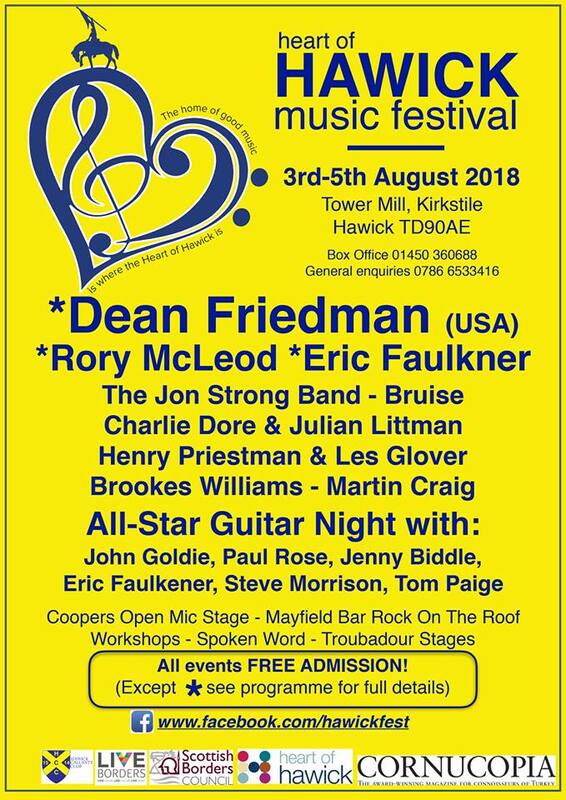 THIS GIG HAS NOW SOLD OUT…. 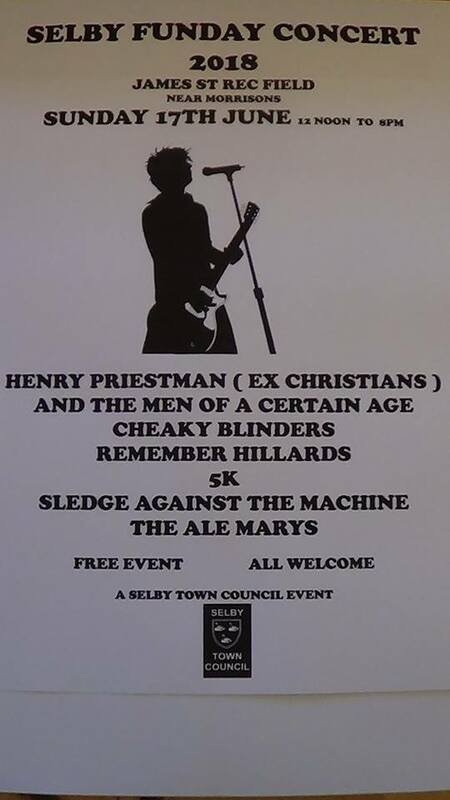 Henry’s back again, a special one-off gig to celebrate the launch of the recent 3CD boxset by his old band Yachts. 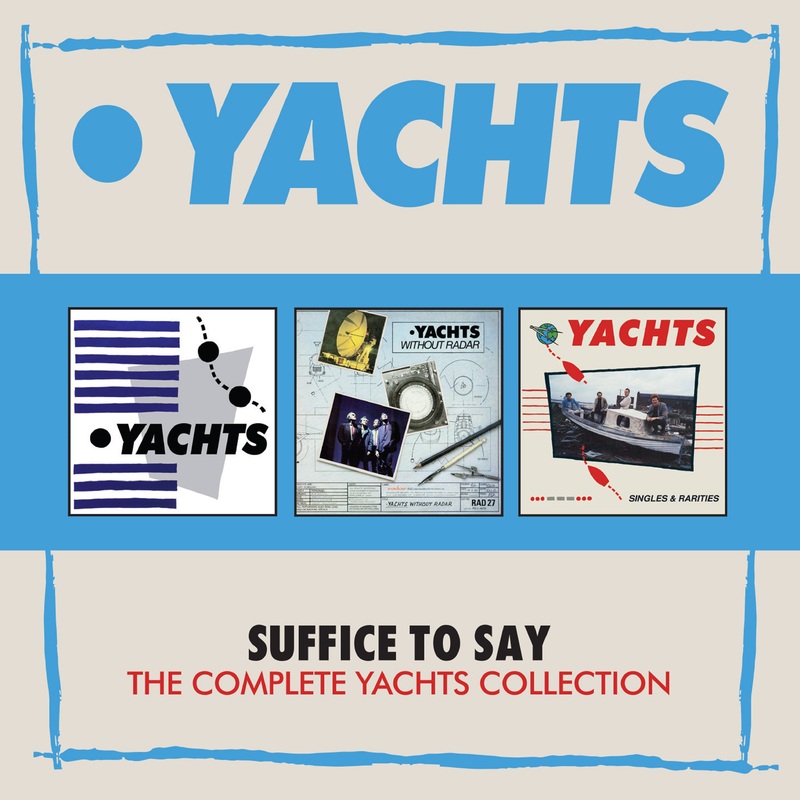 Within his usual shambolic but charming set he’ll slip in half a dozen Yachts “classics”, featuring as special guest, the broadcaster/film buff (and Yachts fan) Mark Kermode on bass, playing songs not heard live since the band split up in 1981! 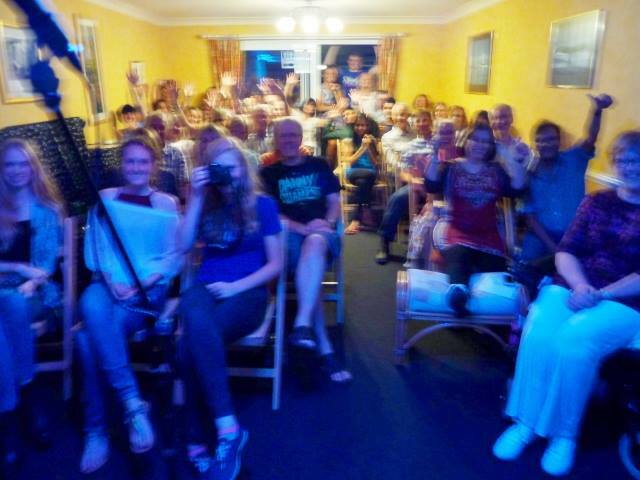 Henry’s 10th annual visit to his favourite Folk Club… The last NINE have all sold out, so book early! 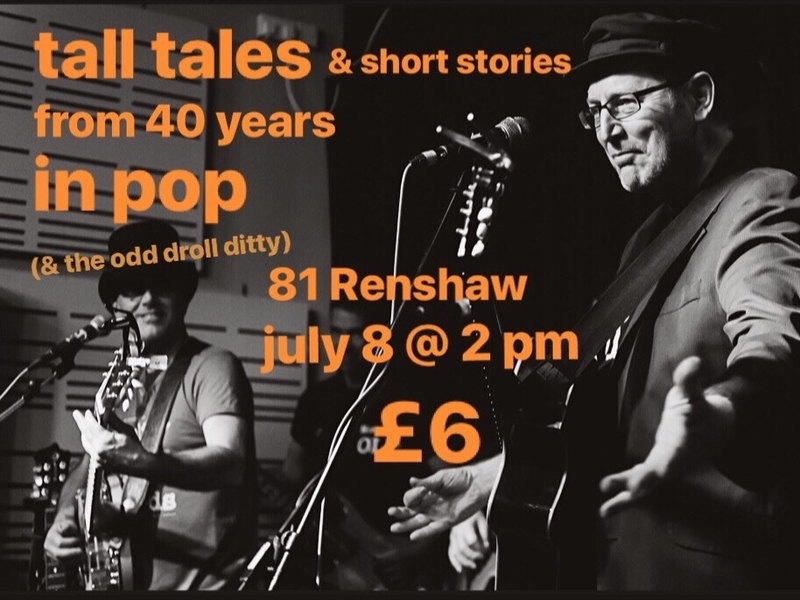 Henry returns to 81 Renshaw Street, for a special show featuring songs from his 5 decades of song, some never played live before. Car parking available at the venue. Maghull rail station only a few minutes walk on the Merseyrail-Ormskirk line. 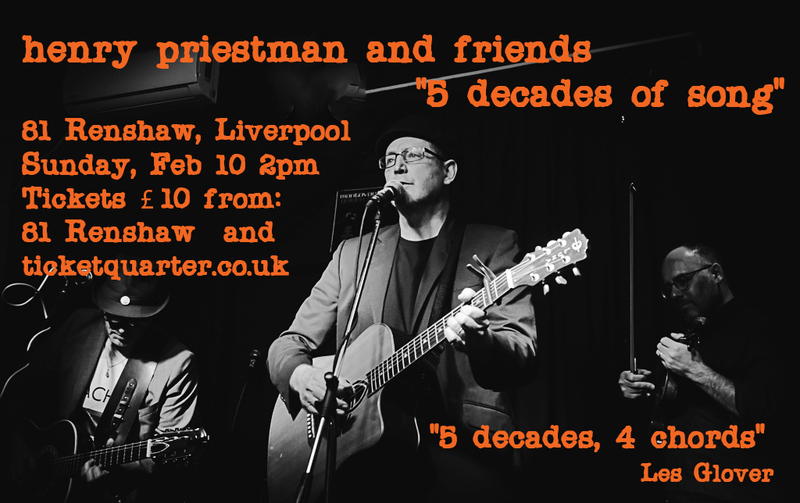 Expect a lot of banter, a load of laughs and lush 3 part harmonies, as they join together to perform songs from Henry Priestman’s 40+ years back catalogue of great music including The Yachts, The Christians, and most recently his Solo career. Pete Riley’s years with critically acclaimed Liverpool band “Treehouse” & US big-hitter Edwin McCain plus songs from his Solo and duo albums with Amy Wadge and Les Glover’s excellent “The Love Terrorist” album & his recent duo collaboration with Henry (Six of One and Half a Dozen of the Other). Henry and Les’ return visit to Rachel Fowler Centre after a number of years. Call 07917 272482 for info/tickets and can pay over the phone…. 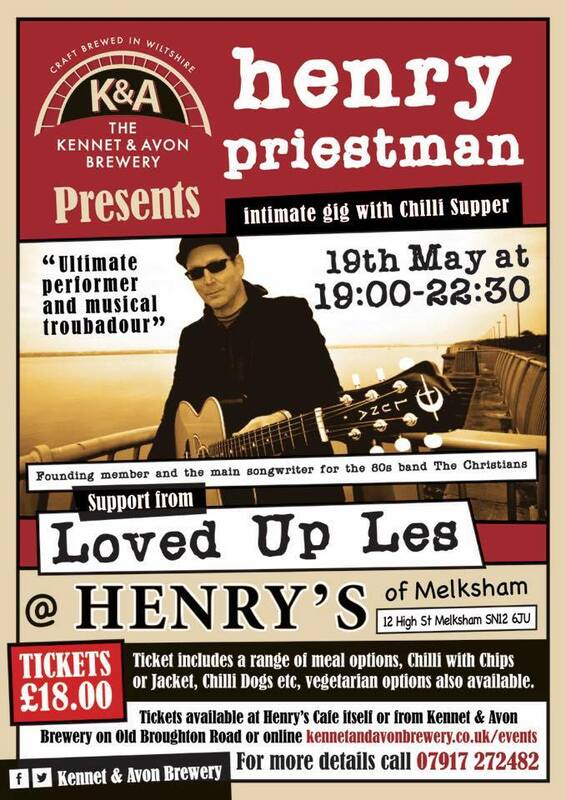 https://www.ticketweb.uk/event/henry-priestman-green-note-tickets/9166125 Doors 7pm, onstage, 8-ish. There are a limited number of seats at Green Note. These are allocated on a first come first served basis, so if you’d like a seat, please ensure you arrive early. 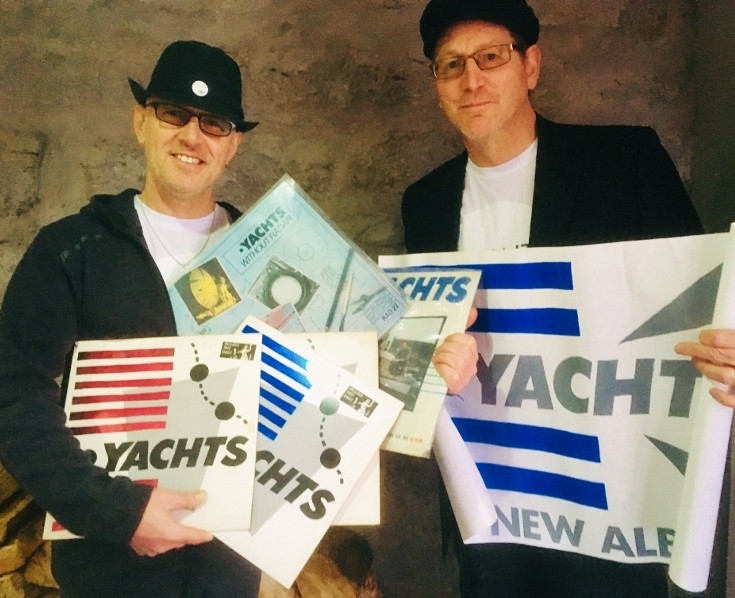 Green Note, Nov 2018…with special guest Mark Kermode…can we persuade him to return this year to play on some Yachts tracks? Henry and Les return for the (we think) 5th time…always a joy! 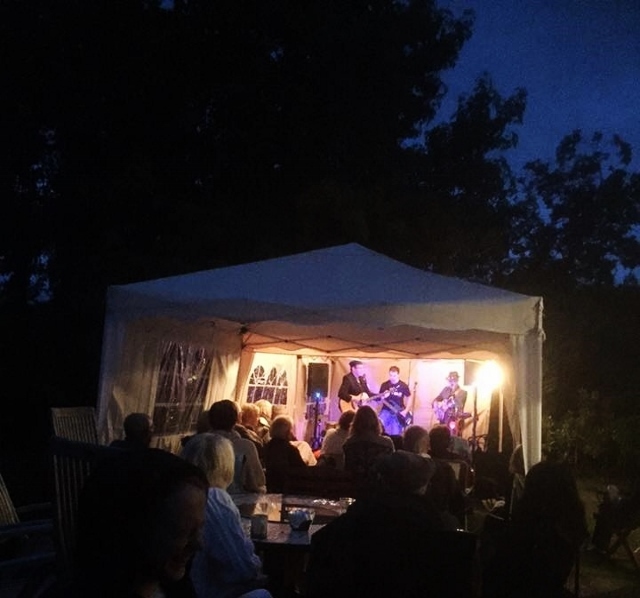 Henry’s 11th annual visit to his favourite Folk Club… The last TEN have all sold out, so book early!